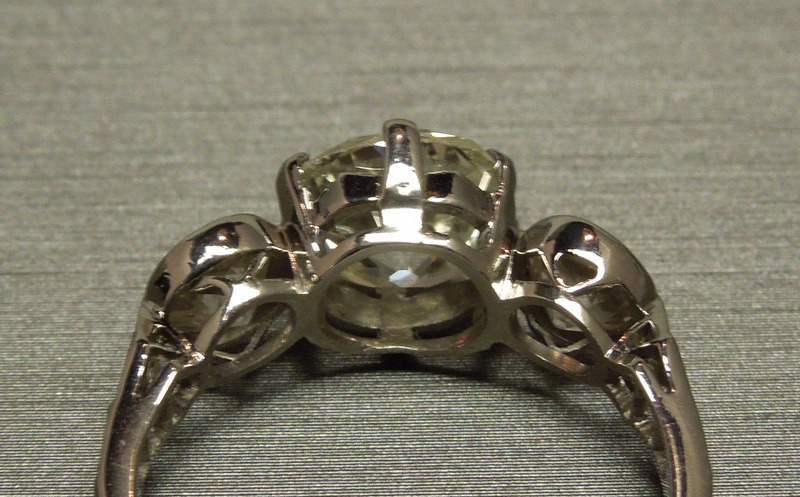 *Appears to be composed of all ORIGINAL components..
Doesn’t appear to have been altered in any way..
**No hallmarks/stamps indicating a metal content.. 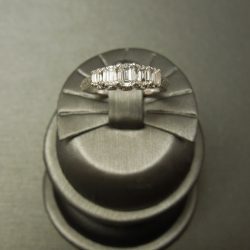 However, we do guarantee that the ring is constructed of the metal(s) stated, as it was tested using an electronic metal-testing gun.. 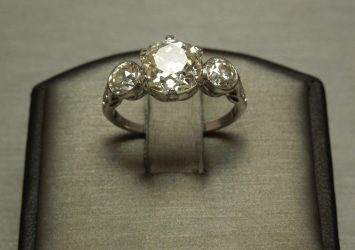 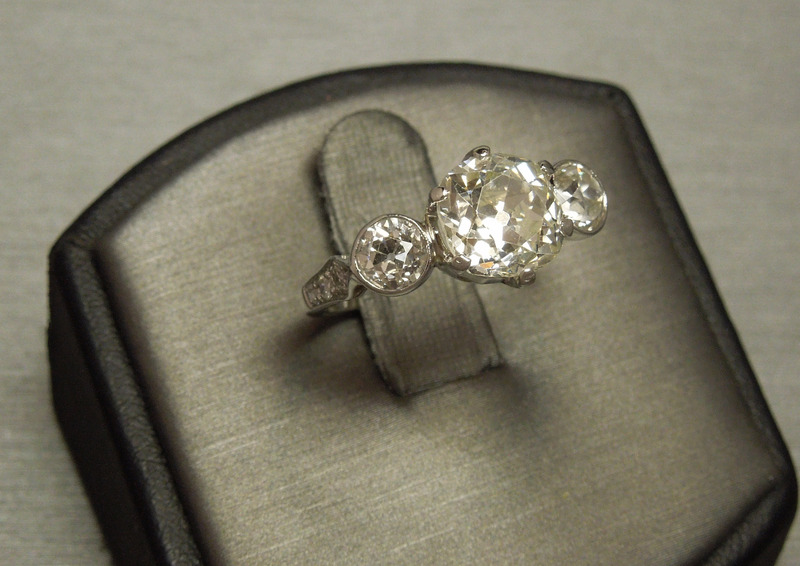 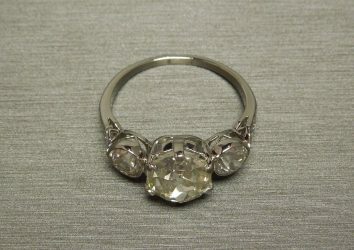 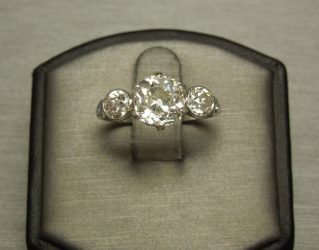 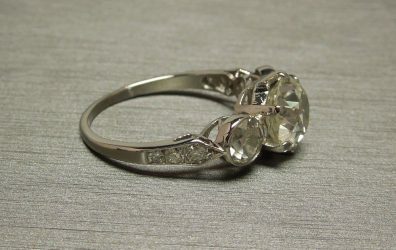 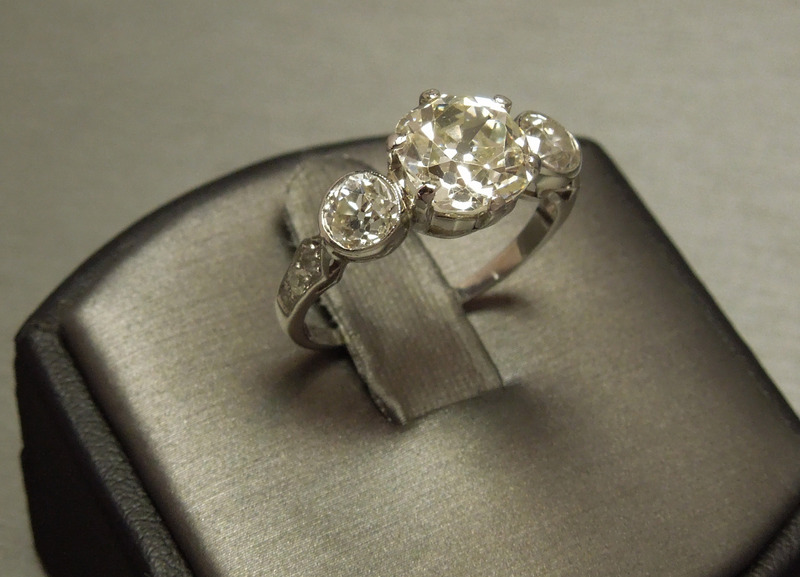 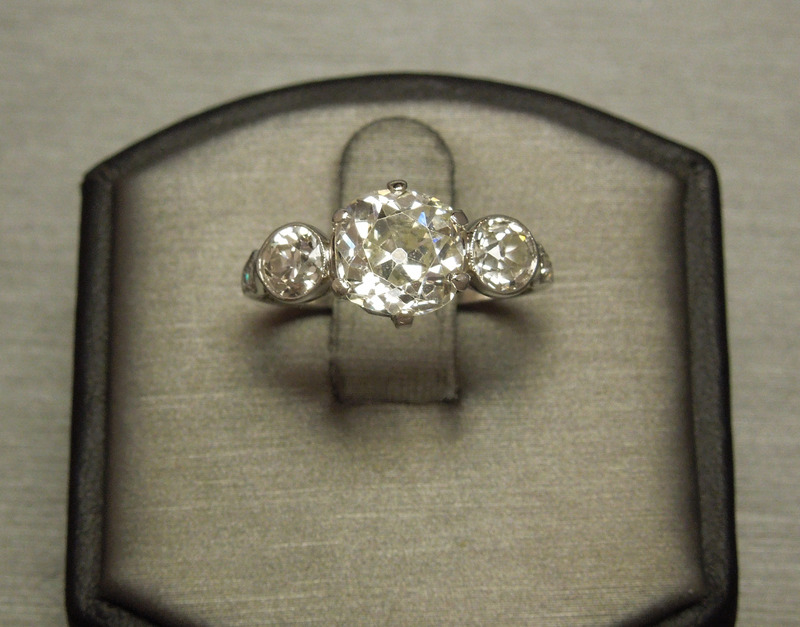 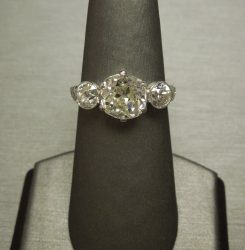 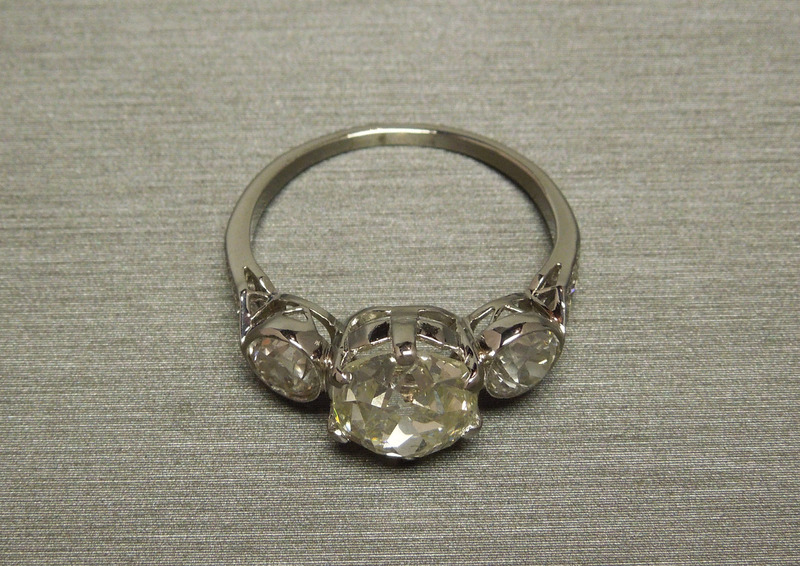 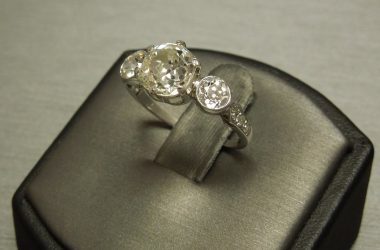 Note: Although an L color, Diamond faces up much Whiter due to the cut.. About an H (nearly colorless) at a glance.. Also appears to be larger than the carat weight also due to the manner in which the Diamond was cut..
*Sale of ring includes an appraisal certificate for your insurance purposes. 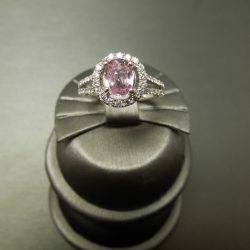 Will be shipped Registered Mail via USPS insured requiring signature upon delivery. 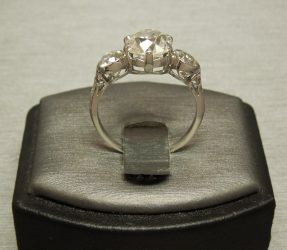 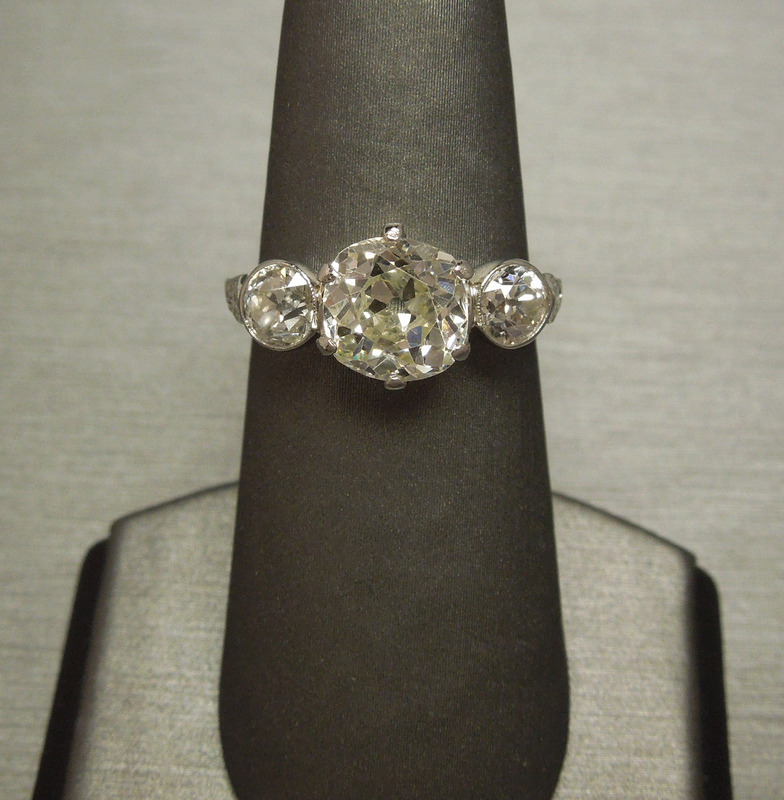 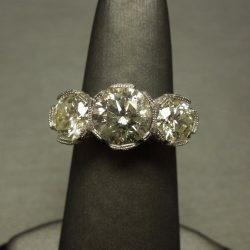 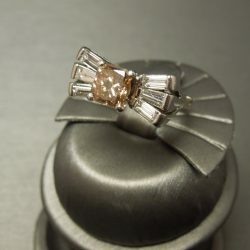 Be the first to review “Art Deco Platinum 3.76TCW Three Stone 2 carat European cut Diamond Solitaire Engagement Ring C1920” Click here to cancel reply.